Read the press release announcing the half-day event to be held at the World Forestry Center on July 19, 2017, When Small is Big: Forest Initiatives Around the Globe – A conference exploring issues of climate, conservation, and forest management in a global context. Portland, Ore.- On July 19 from 8:30 am – 1 pm the World Forestry Center will host a special event showcasing global forestry initiatives featuring the eight 2017 World Forest Institute International Research Fellows. This half-day event will focus on issues of climate, conservation, and forest management, showcasing unique solutions and challenging projects that are being implemented around the world. The 2017 International Research Fellows span three continents, representing their home countries of Malaysia, Slovakia, India, Guatemala, Japan, Nepal, Scotland, and Taiwan. They were selectively chosen to participate in the six-month World Forest Institute International Fellowship Program at the World Forestry Center. Keynote speaker Dr. John Bliss (Emeritus Professor, Oregon State University) and invited moderator Rainier Hummel (Forest Practices District Manager, Washington Dept. of Natural Resources) will draw these international stories together in a meaningful way for us here in the Pacific Northwest. Sponsored by Oregon-based forest products company Vanport International, Inc and Vanport Manufacturing, Inc, this event will deepen your understanding of natural resource issues around the world and inspire and impact the work being done closer to home. 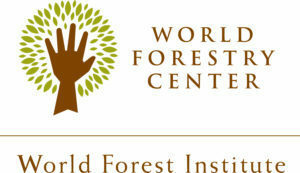 Founded in 1966, the World Forestry Center is a 501(c)(3) nonprofit organization dedicated to educating and connecting people to the importance of forests, and to create and inspire champions of sustainable forestry. Based in Portland, Oregon, World Forestry Center provides critical programs in convening and professional development of global leaders and practitioners in forestry and related fields. Through its World Forest Institute Fellowship Program, the World Forestry Center has hosted public and private forest professionals from over 30 countries to advance research, networking, and knowledge exchange. For more information, visit www.worldforestry.org. The World Forestry Center is five minutes from downtown Portland, just off Highway 26 in Portland’s beautiful Washington Park. Visitors are encouraged to ride MAX or take TriMet bus #63.